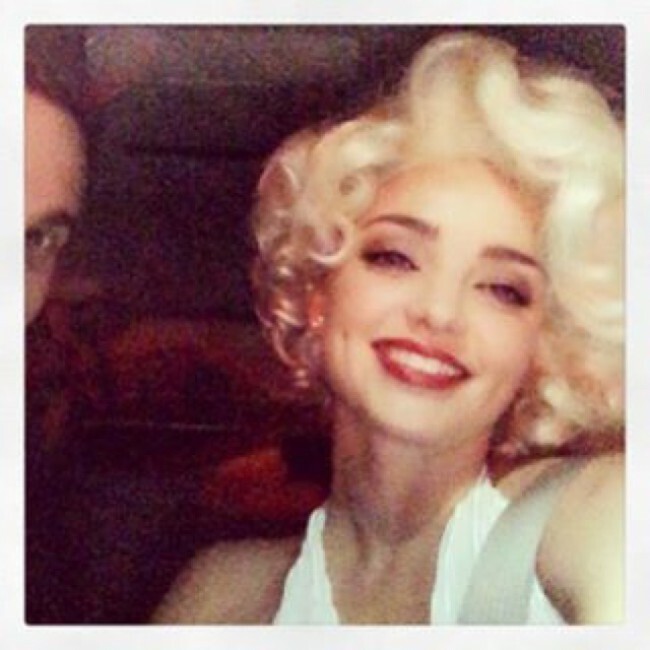 Supermodel Miranda Kerr went blonde for a night while she dressed up as Marilyn Monroe for a Halloween party held in Los Angeles over the weekend. 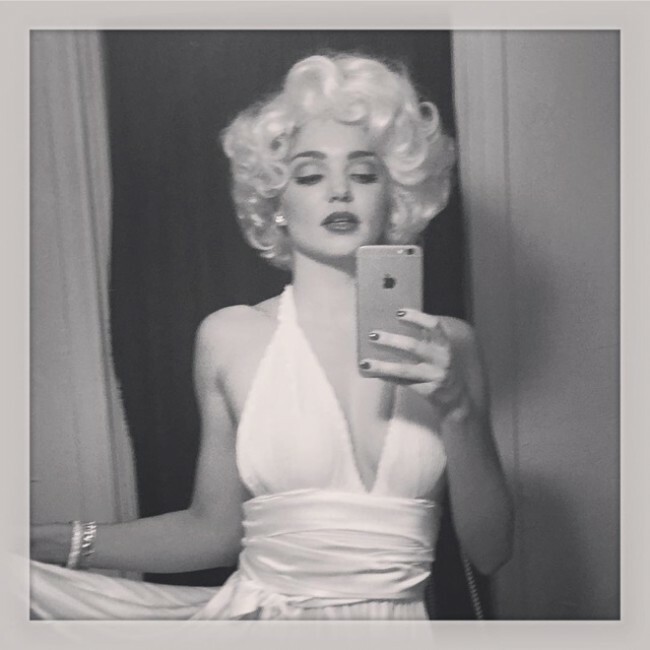 Miranda channeled Marilyn’s iconic role in ‘The Seven Year Itch’ wearing a white halter top dress, as well as short and curly platinum blonde wig. 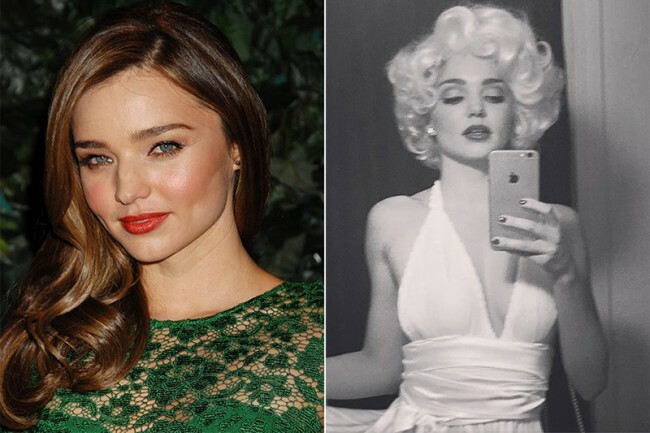 Miranda completed her transformation with a vibrant red lip color.